The last time we talked about Sony Xperia XZ4 was a couple of weeks ago when the smartphone’s official press render was leaked. The press render revealed that Xperia XZ4 is going to feature one of the most innovative and cool looking smartphone designs of 2019. Leaving the design aside, the leaked press render didn’t include any information about the smartphone’s hardware specs and performances. Fortunately for us and other smartphone fans, Xperia XZ4 was spotted on the AnTuTu benchmarking website and we can see just how powerful Sony’s next-generation flagship is going to be. First off, we need to mention that the only reason why tech companies are taking their upcoming smartphones and testing out their performances on benchmarking websites is that they are getting ready to launch the said smartphones. Therefore, no one should be surprised to find out that Sony decides to announce Xperia XZ4 during the upcoming days. Nonetheless, let’s see just how much points Xperia XZ4 scored on AnTuTu. 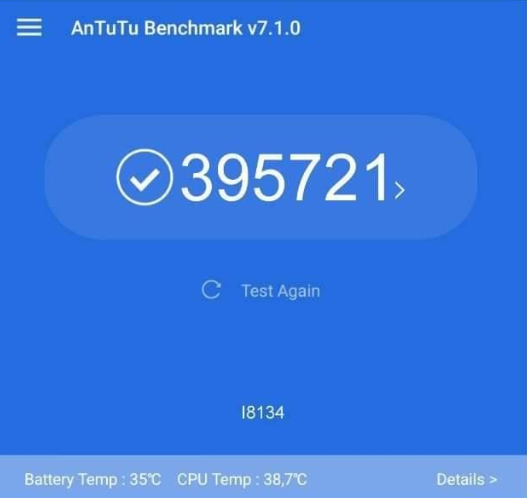 Xperia XZ4 scored an impressive 395,721 points in the AnTuTu benchmark test. What’s great about this result is the fact that it confirms Sony has equipped Xperia XZ4 with a high-end Qualcomm Snapdragon 845 CPU. Since we are talking about Xperia XZ4’s CPU, we should note that previous leaks have shown that Sony has figured out a way to introduce AI technology into the smartphone’s software that will help take the performances of the CPU to the next level. As we can see in the featured picture, the selfie camera of Xperia XZ4 cannot be spotted. The camera is not missing and instead, Sony has invented a new way to introduce it beneath the display. Sadly, this is the only information that we have about this innovative technology and we will have to wait for Sony to officially announce Xperia XZ4 in order to find out more.